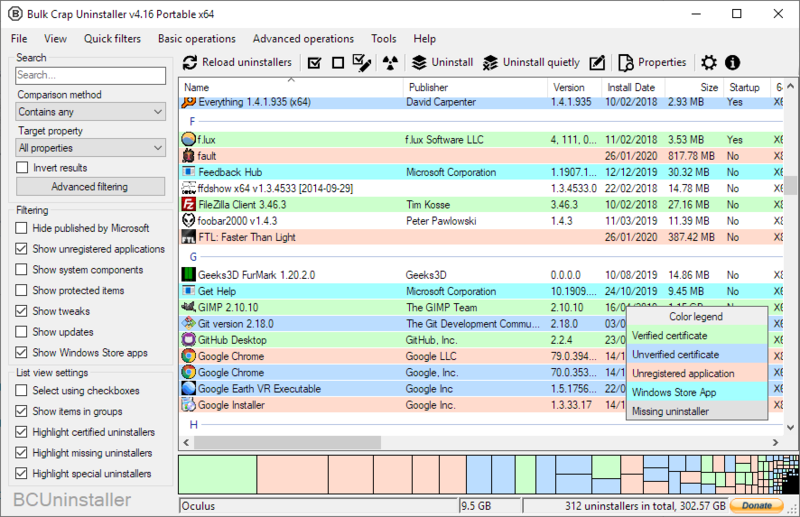 Bulk Crap Uninstaller - Remove large amounts of unwanted applications Bulk Crap Uninstaller - Remove large amounts of unwanted applications | Bulk Crap Uninstaller (BCUninstaller, BCU) is a free, open source program manager. It excels at removing large amounts of applications with minimal user input. Remove large amounts of unwanted applications quickly. 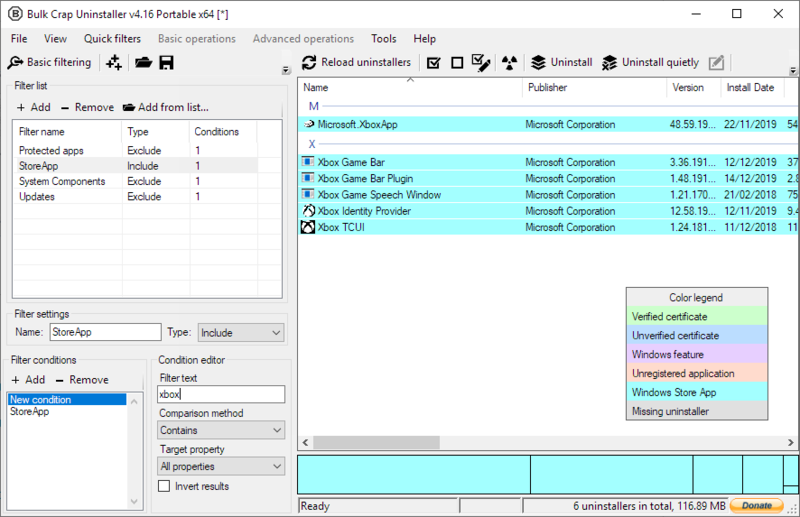 What is Bulk Crap Uninstaller? BCU is translated to Arabic, Czech, Dutch, English, French, German, Hungarian, Italian, Polish, Portuguese (Brazil and Portugal), Russian, Slovenian and Spanish at the moment of writing this. More to come! OS: Windows Vista or newer is recommended. BCU will also work on XP and 2003 with reduced functionality and possibly some bugs. Both 32bit and 64bit versions are supported. .NET: Recommended .NET 4.0 or newer, can run on only .NET 3.5 with reduced functionality. RAM: Around 300MB or more of free RAM. Free space: 50MB or more. HDD: Anything will work, but slower drives will make scan times proportionally longer. 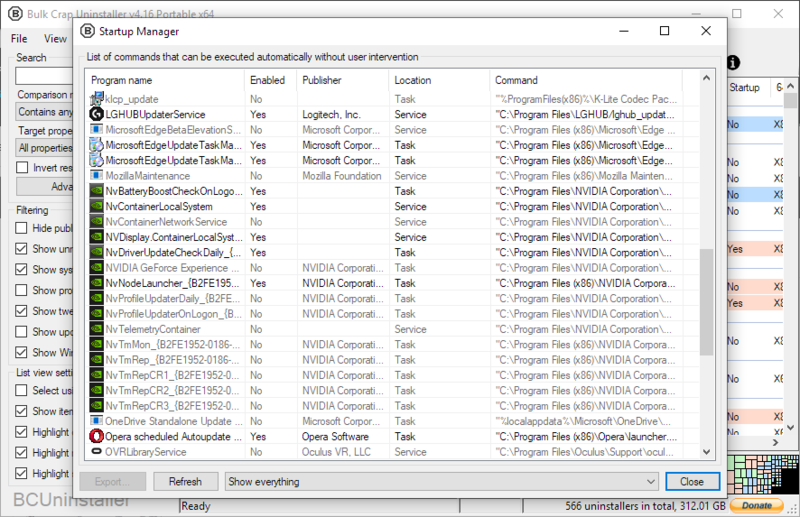 Bulk-Crap-Uninstaller is maintained by Klocman. This page was generated by GitHub Pages.